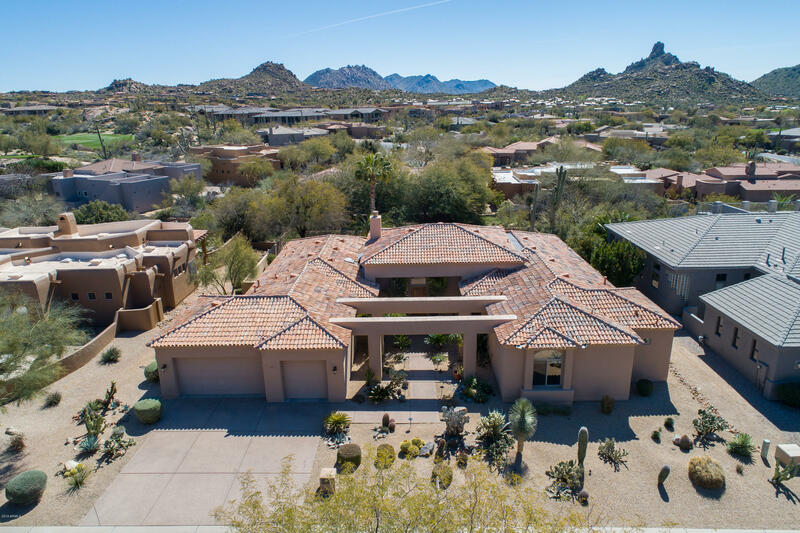 All The Monument at Troon Nor homes currently listed for sale in Scottsdale as of 04/25/2019 are shown below. You can change the search criteria at any time by pressing the 'Change Search' button below. "Exclusive location on the Signature hole #3 of The Monument course at Troon North, very quiet street. Beautiful single level custom home by Red Moon Development.Finest finishes with 12+ feet high celings, venetian plaster, travertin & hickory wood flooring. Open floor plan with formal dining area, chef's kitchen with stainless steel appliances, walk-in pantry , 900 bottle wine room, full size bar, stuning fireplace in the living. 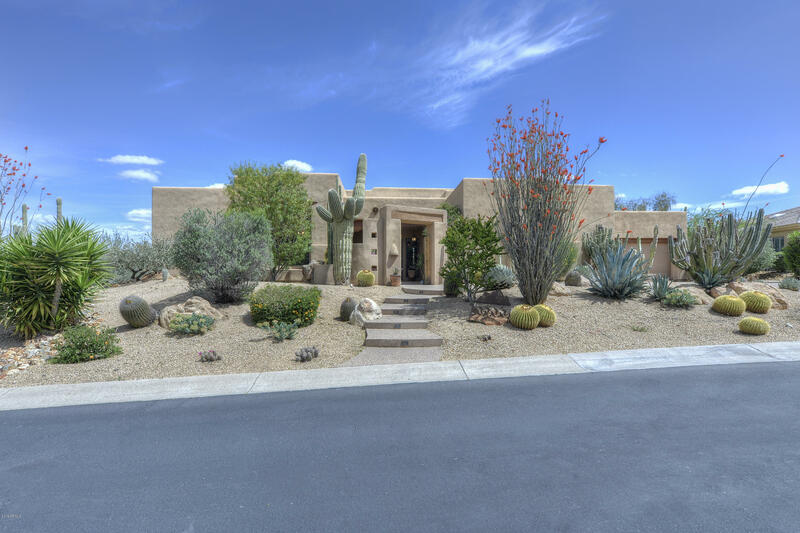 Comfortable Master Suite with fireplace, sitting area & direct acc"
"Designer showcase, Private & Beautifully remodeled home located in the gated golf community of The Monument at Troon North. Situated on the 4th Hole of the Monument Course w/spectacular views. Elegant but casual lifestyle featuring 4 Bedrooms & 3 Baths. Gourmet Chefs kitchen w/Island & large Breakfast Bar w/slab granite counter tops. Induction cooktop, dbl ovens, warmer drawer. Kitchen open to Family & Living Room. Dec Niches, SS w/speakers indoors & out. Porcelain wood like tile floors us"
"VERY HIGH PREMIUM LOT, FEATURING SPECTACULAR SCENIC BOULDERS & PRIVACY. 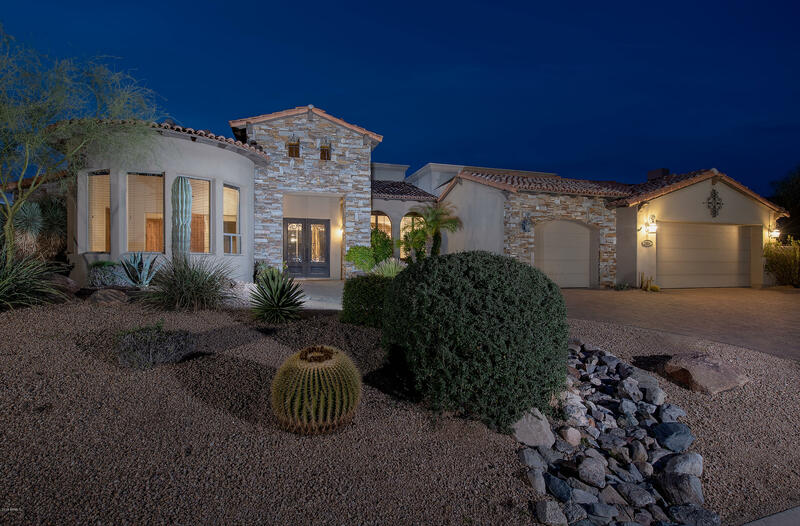 VERIFIED 4158 SF, SINGLE LEVEL, LABLONDE CUSTOM IN THE PRIVATE GATED COMMUNITY OF ''THE MONUMENT'' AT TROON NORTH GOLF. 4 BDRM, 3.5 BA, FAMILY RM, FORMAL DINING RM, GAME RM, MASTER W/SITTING AREA. 3 BDRMS HAVE OUTSIDE ENTRANCE. RESORT BACKYARD W/SPARKLING POOL/SPA/BUILT-IN BBQ/FIREPIT W/FLAGSTONE DECKING. GAS FP, TALL CEILINGS, SPACIOUS ROOMS, LOTS OF LIGHT. 3 CAR GARAGE, EPOXY FL, CABINETS. NEW INTERIOR PAINT, CARPET." 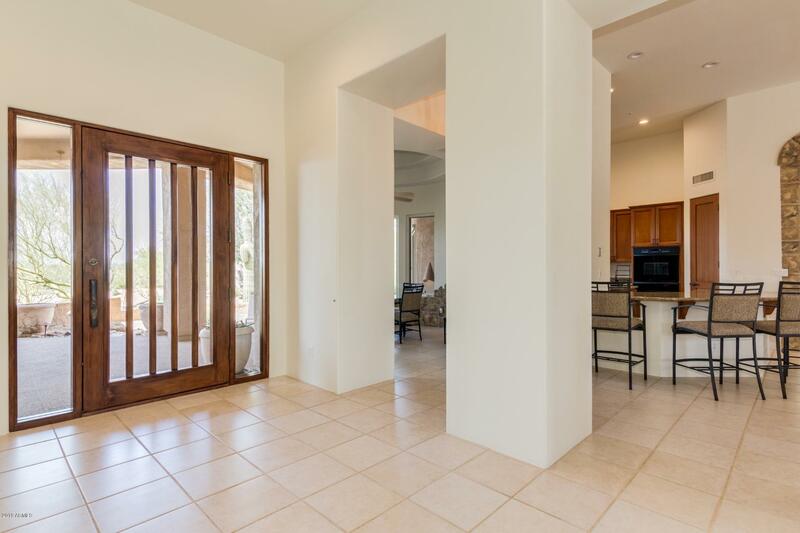 "Private updated home located in the gated golf community of the Monument at Troon North. Desirable Open great room plan w/split Master suite & N/S exposure. Gourmet kitchen w/island, breakfast bar & area. Slab granite counter tops & SS appliances. Kitchen open to great room great room w/gas fireplace, wet bar, & SS w/speakers indoors & out. Formal dining & 4th bedroom set up as office. Master w/sitting area, dual vanities, jetted tub & walk in closet w/built-ins. 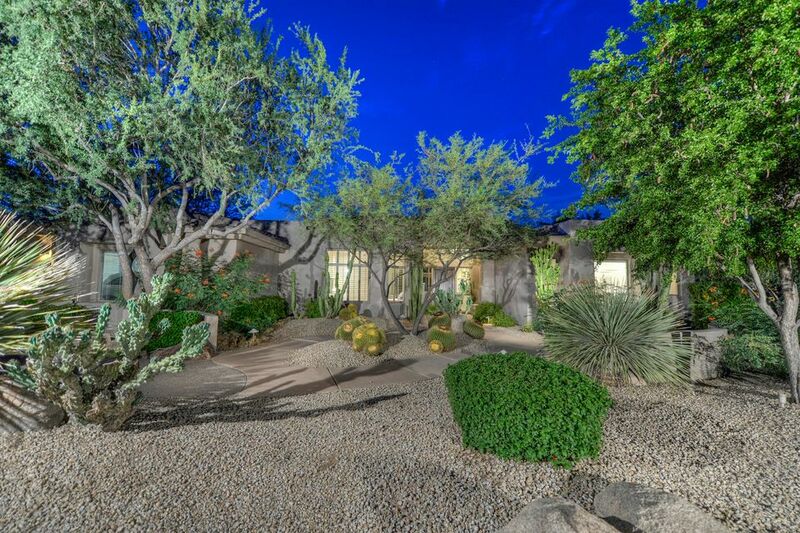 Private resort backyard w"
"Enter this updated home thru a private courtyard located in the gated golf community of the Monument at Troon North and situated on the 4th hole of the award-winning Monument Course. Desirable N/S exposure w/split Master Suite. Spacious chef's Kitchen w/gas Cooktop, pasta Faucet, Kitchenaid SS Appliances. Large Island & Breakfast Bar & Area. Slab granite Counter tops. Kitchen open to Great Room w/dec. Niches, gas Fireplace. Travertine Floors used extensively throughout. Split Master Suite w/Sitt"
"NO POOL. Located in prestigious Troon North. 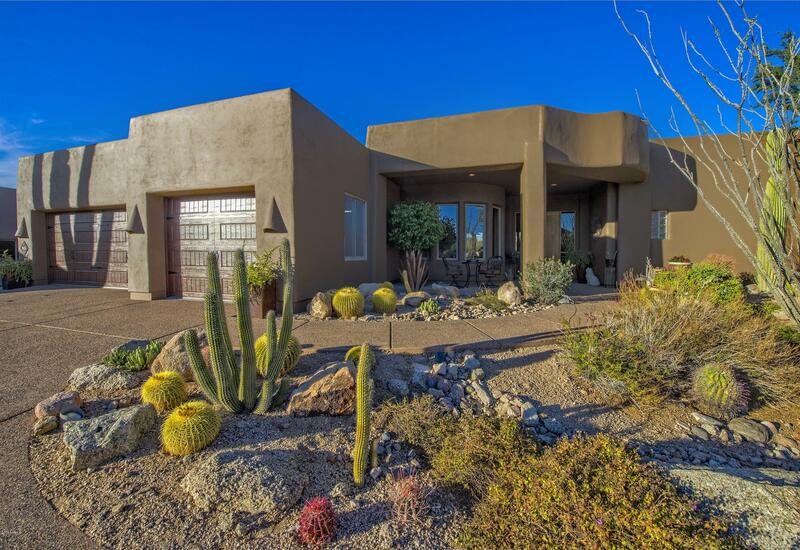 Enjoy the natural Sonoran desert, mountain views and city lights. Surrounded by natural area on 3 sides -very secluded and private. Entertainer's dream featuring outdoor kitchen, fireplace and expansive water feature. Energy efficiency includes 5KW solar panels (owned) with granfathered net metering which transfers to buyer. Open house plan includes: gourment kitchen, granite counters/back splash, wine cooler, breakfast nook with views. Open plan with"